Part of our strategy at the Prince is to offer simply the finest beers in the land. Our 10 handpulls try to present a variety of beer styles and ale brands to suit all our customers, each one at the top of its class. Camra purists are often disappointed as we tend to shun the weird and the wonderful, avoiding the latestest brewing indulgence of some small micros,even if the names are mildly amusing for a couple of minutes. Our customers want great beers and they don’t mind if they are very successful. St Austell Tribute and Timothy Taylor Landlord are both brands that enjoy fantastic commercial success; yet they are wonderful examples of particular styles of beer. Once we find a beer that our customers like, we stick with it. It’s what our customers want. Now these are all great beers; each an outstanding example of their particular style of ale. 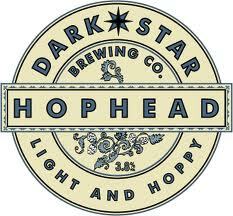 So lets us know your views and we will use the feedback to select a new beer to add to our range. February looks like a fantastic time to get down to The Prince and watch a whole series of great sporting occasions. 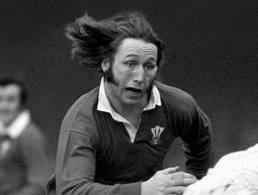 We kick off tomorrow night ((Friday) with the awesome spectacle of Wales v England in the Six Nations Rugby. Screened in the front bar and outside in the Marquee, there will be no better place to watch the action (well apart from Cardiff). We have even put my favourite Welsh beer on to celebrate – Brain’s Reverend James … well one Welsh amongst nine English ales isn’t so bad and it is a cracking beer. Football is getting better and better at The Prince (a bit like the Villa’s season) and Blues fans will be pleased to here we intend to recreate the atmosphere of the World Cup for their once in a lifetime trip to Wembley at the end of the month. Meanwhile we will be showing every Villa and Blues Premiership game, including the 3pm Saturday games (when the games clash, we show the away game). We will also show as many Baggies and Wolves matches as possible. We wish we could show more … cricket for example and the football that’s exclusive to Sky. Over the last few years Sky has had a monopoly on many televised sports, forcing pubs to pay massive amounts to bring customers key sporting events. The Prince, like many other pubs can’t afford Sky’s fees (over £1600 per month for the Prince) and we screen sports using another EU system ( a decoder card sold in another member state of the EU). This makes it affordable. Sky has been trying to stop this for years and has taken many pubs to court. Today, a test case that spent 4 years making its way to the European Court came out with a result that backs the pubs. According to the judge, Sky and the Premier League have been riding roughshod over the priciples of the common market by selling broadcast rights to specific territories within the EU. Pubs 1: Sky 0. “Now this is not the end. It is not even the beginning of the end. But it is, perhaps, the end of the beginning.” Sky will carry on trying to protect its massively overpriced offering to pubs. So perhaps a better score line might be Murdoch 0: British pub going sports fans 1. But its only half time and this tie is decided over two legs. Havana, London and New York … the three finest Cigar Cities in the World. I recently returned from a trip to New York where American cigar culture, with its embargo on Cuban cigars throws up a bewildering array of cigars. In the UK the cigar market is dominated by Havanas. The official importor does a great job of maintaining the exclusivity of cigars; prices are high and cigar smokers few and far between. In America, the cigar has had the full Henry Ford treatment: he once said “the trouble with you Europeans is you all want to be craftsmen. I want to democratise the Automobile”. The States offers decent quality, handmade cigars from just a few dollars a smoke. Here we need to pay £10 a more to get a good cigar. Throw in the embargo, lots of skilled emigres steeped in cigar making from Cuba and the rise of great quality tabacco in Honduras, Nicaragua and the Dominican Republic and you get a fantastic selection of smokes. If you are into Cigars, New York is almost as good a trip as Havana. Great cigar stores with a massive selection, friendly, knowledgable staff and a few good stores have seating areas and even large TV screens. If you ever get the chance, check out De la Concha on 6th Avenue (56th Steet). Sure some non cubans aren’t great but tonight I enjoyed a cigar that beats most Cubans into a cocked hat. I bought a box to bring home and now I regret it was only 20. Don Pepin Garcia is a Cuban who learned his craft in at his Uncle’s cigar factory. He became famous in Cuba as the best roller in the business and eventually was appointed head of quality control at Cohiba. Like many of his countrymen he left, first going to Nicaragua and then settling Miami. So for tonight’s smoke I picked two cigars. 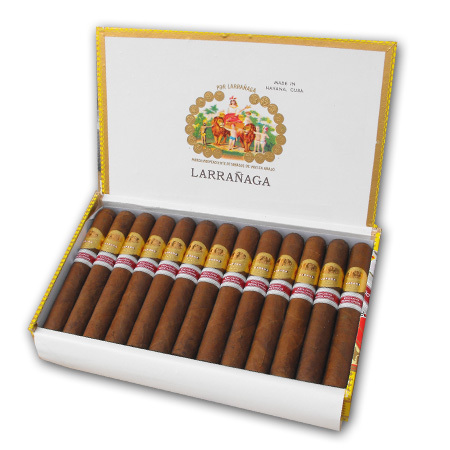 The first is the doyen of many Habanos fans of late – the Por Larranaga Regalios de Londres; a Limited Edition specially made for the London market and long robusto at 5.5 inches x 50. We sell these in the Prince at £16 a stick. This is the brand Churchill used to smoke and a fine cigar. It’s a Cuban cigar that ticks all the boxes … great pedigree, well made and with a good-on the -eye, slightly oily wrapper. Easily to light and smoke with a spicy, earthy full flavour from the start. There’s a lovely long grey ash and as you get into the middle third, more pronounced flavours come through: coffee and burnt caramel. An excellent cigar. So after a large Diplomatico to clense the palette, out comes the non Cuban cigar. The presentation is fantastic and the band a real work of art. 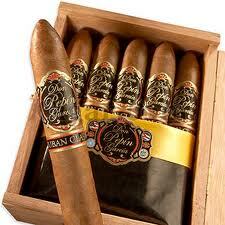 This Don Pepin Garcia Cuban Classic is made in Nicaragua from tabacco grown with Cuban seed. It was the 2001 Black Edition Toro Gordo at 6 x 60 (although it looks more like 58 to me). No mistaking, its a big cigar. Now I have smoked several of these and the first thing that hits you is they are so so smooth. The draw is perfect and delivers lots of smoke. The flavours offer that almost unique balance between spice and cream; earthy hints of cedar and spice yet with a smooth silkiness. In fact the first one I smoked was in The Carnegie Club in New York, the wrong side of a couple of big cocktails … it was so good I had to smoke another the next day just to check my judgement hadn’t been deluded by the alcohol. The way this excellence persists down the length of the cigar is incredible. An amazing smoke right to the nub. These cigars are so good, it reminds me of Cohiba’s Behike 56. In fact it’s the only smoke I can compare them with. Now I know the only way forward … a herf with a couple of cigar loving friends: the Don Pepin followed by a Behike 56? Any takers? Back in the day, one of the highlights of reading the daily paper was the cartoons. A simple and insightful perspective on a major news story that could have you rolling around, or reaching for your hankie, in the blink of an eye. Now as many of us consume our news on the web, we miss out on this aspect of news coverage. What many Moseley folk don’t know is that one of the country’s leading cartonists, Bert Hackett, lives here in our midst and is a regular at the Prince. Indeed I am honoured to call Bert a friend of mine. Bert spent 40 years producing a daily cartoon for The Birmingham Post and created more than 7000 cartoons! Having listened to the news on the radio and absorbed stories from other papers and magazines, Bert would travel into town on the 50 bus every day, arriving at his desk at about 6pm. He then had until about 7.30pm to come up with a few rough sketch ideas and get one approved by the editor. Once approved, he would work on the final drawing and finish by about 10pm. Bert drinks in the Prince 2 or 3 nights a week and has done for a long time. So in tribute to his work, we have a collection of his more recent cartoons on display in the Snug. Bush, Blair, Brown … they are all there. The exhibition is free and if you want to talk to Bert about his work, why not come along next Wednesday at 8pm and enjoy a free glass of wine. It’s only fitting that an old Irish pub called the Prince of Wales should celebrate Scotland’s best loved poet. 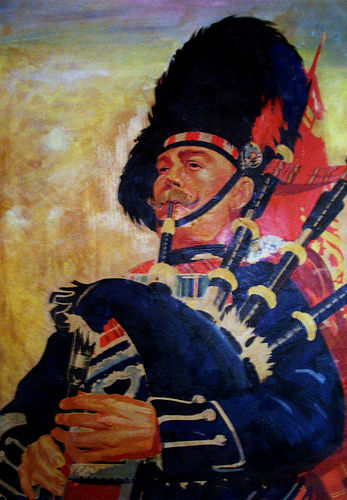 So this Tuesday night from 8pm our Piper will welcome you to the pub with some fine tunes from the Glens. At around 8.30pm, the Chef with join him in a procession from the Kitchen to the front bar and with the Haggis held high aloft. It will be set on fire, toasted and ceremoniously cut open. Supper will then be served and a fine bargain it is at only £5 for haggis, neeps and tatties, with a wee dram of single malt. Will Keith be forced into this? Don’t worry, the developer next door may have won his Planning Consent at today’s Council meeting, but I ain’t about to puff out my chest, slip on a dress and put on a wig to get on the stage and sing! No! 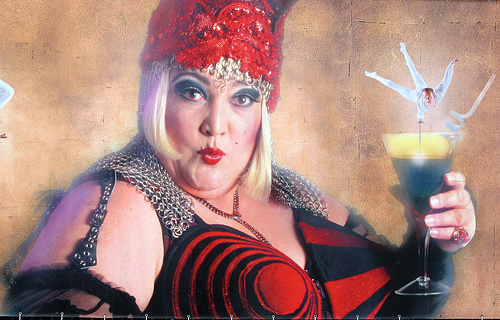 There will be no fat lady singing at the Prince just yet! I would like to thank every one who supported our efforts to protect the pub. Many of you put in an objection, some petitioned the Council directly, others contacted the Planning Officer. Thank you one and all. We are going to consider our next steps and then up date everyone. Meanwhile its about time we had some happy posting on this blog so watch out for news of some great events. Tomorrow night there is a meeting of the Moseley Regeneration Group. Its a small group of people who the Council see as representing the good folks of Moseley on Planning Issues and regeneration in particular. They are going to discuss the site next to the Prince at their meeting but I suspect they will do nothing to support the pub unless we lobby them intensively before 5pm tomorrow. The Planning officer’s recommendation for approval is against the advice of the city’s own expert officals. The original consent should not have been given. The potential for noise issues was identified by the Director of Regulatory Services for Birmingham City Council who recommended refusal of the original application. Such an intensive development of the site would mean apartments are only 20ft away from one of the best used Beer Gardens in Birmingham. The original and new noise surveys were both undertaken in winter, when the Beer Garden is relatively quiet. A large number of the planned apartments have balconies … it does matter what specification the windows have, the balconies will be noisy. Unlike other Birmingham pubs that have been closed down by neighbours, this is not about late night music. Its about the noise made by 200/300 people simply enjoying themselves in the beer garden after 11pm on weekends. 15% of our trade comes from these sales and any restriction will make the pub unviable. Amost 500 Moseley residents have objected to the application. The police and the fire brigade object to the application. The Prince of Wales is widely regarded as Moseley’s last traditional pub and this year it celebrates its 150 anniversary. It deserves protection. The moneywise site should be used for a purpose that has a stronger “civic” dimension. Moseley does not need more yuppie flats yet this site is only 1 of 3 large main road development plots available for a big civic project. 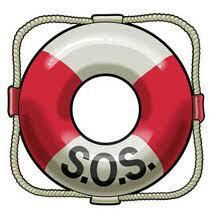 The Prince of Wales is a member of The MBA and we believe the MBA should protect the interests of its members. Please use cut and paste my text to send your own message urging the Moseley Business Association and The Moseley Regen Group to support the Prince by emailing the Chair of the Planning Committee before Thursday’s meeting. The Prince ... let down by the greed of Punch again! Just a few days ago I learnt that this coming Thursday (January 13th) will see the future of Moseley’s last traditional pub sacrificed to commercial greed. For this Thursday, Crosby Lendlease, the developer infamous for attempting to close down other Birmingham pubs, will present the Planning Committee with its application to build 50 luxury (ie Yuppie) apartments next door to The Prince. Now that’s bad, but what’s really bad is the Planning Officer has recommended approving the application. Shame on you Victoria Barnett! Despite objections from 500 people: despite objections from the Police (concerned about flats overlooking their police Station on Woodbridge Road); despite a recommended refusal from the Council’s own noise experts at Regulatory Services; despite objections from the Fire Brigade and despite a “substantial material change” from the last application. What is even more shocking is the lack of support for an important part of our heritage. 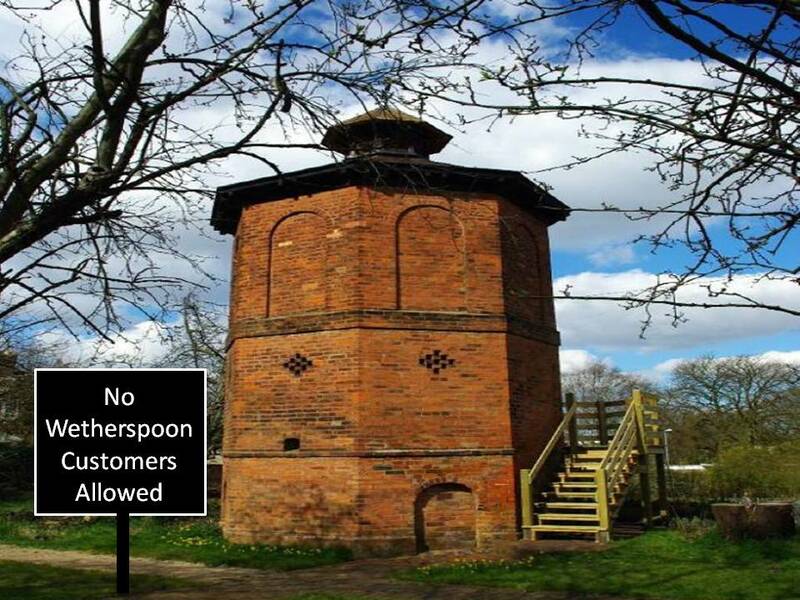 The Moseley Society would be fighting furiously to preserve the Dovecote (if it was under threat), enjoyed by a handful of people a few times a year. Yet the village pub, 150 years old this year and enjoyed by hundreds of people every week, is thrown away and left to its fate at the mercy of a bunch of Australian property developers. Whilst sad, the real tradgedy has its seeds a few years ago, before we arrived at the pub. Punch Taverns, the freeholders of the Prince of Wales (we operate a lease) failed to object when the developer put in there original planning application in 2006. This I would argue is negligent and bad enough … they failed to protect the future of the pub. However what was almost crimmal is that they went further … they actually did a deal with the developer where they sold off the pub’s “right to light” (the new flats obscure the light from the pub windows on the side elevation) and agreed not to object to the development. 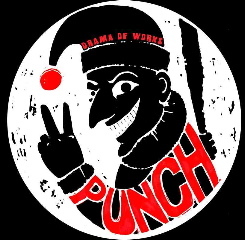 Punch sold the Prince down the river, selling the long term future of the Pub in exchange for short term cash in hand. Now its true, I signed this agreement too, but only after months of refusing. Eventually Punch sent a motorcycle courier from their Bristol based solicitors to the Pub and he was told not to leave until I had signed the papers. Punch then called me and told me I must sign, if not I would not be given any further beer and would be in breech of my lease. Under duress I signed. Now we are all going to suffer. The Nightingale, The Spotted Dog, The Rainbow; all these places suffered at the hands of neighbours complaining about noise. Without even a single brick being laid, The Prince is suffering at the hands of the people who should be protecting it! Can we stop the flats. The experts tell us not. Happy New Year Dear Blog Readers. In 2010, there were 67 new posts, not bad for the first year! There were 106 pictures uploaded, taking up a total of 11mb. That’s about 2 pictures per week. The busiest day of the year was November 3rd with 972 views. The most popular post that day was Ambushed by The Moseley Mafia. The top referring sites in 2010 were facebook.com, theprincemoseley.co.uk, twitter.com, b13jazz.co.uk, and en.wordpress.com. Some visitors came searching, mostly for mayrhofen, mayrhofen austria, mayrhofen pictures, the scaffold, and moseley mafia. Older regulars look back misty eyed and talk about Bill and Burton Ale. Its a great bit of nostalgia but wringing a concession from Punch to broaden the cask ale range was a turning point for the pub. We now permanently offer Harvest Pale, Jaipur, Timothy Taylor’s Landlord, Sharps Doom Bar, Purity’s Gold, UBU and Mad Goose alongside Prince stalwarts Tribute, Abbot and Bombardier. 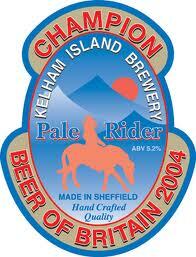 Camra may still turn their noses up at the pub but we have the best beers in the land. The Saturday before Christmas; minus 8 degrees and over 250 people dancing around in the marquee to a fabulous evening with a great band. The opening of the new Cocktail Lounge as given lots of women a reason to “Love the Prince”. When we arrived, the pub was very one dimensional and most people’s perception was a pub full of old men drinking pints. Whilst not strictly true, it did put a lot of people off. Since the refurb and especially since we opened the Cocktail Bar, the Prince is much more popular with the ladies. Not a bad thing fellas. The reinstating of the fireplace in the front bar. The official lighting of the fire in October almost went badly wrong when my plan to throw a small whisky on the flames and raise a toast almost burnt the place down , taking off my eyebrows in the process. 6. 360 Gig in the bar for Halloween. Scary SKA is now an annual event! Never as the Bar rocked so much! Forget Lambs Navy or even Sailor Jerry, we are talking Diplomatico, Zacapa, Flora Del Cano, El Dorado. If you have missed out on our list of 40 world class rums, don’t worry; we hope to expand the range to 100 next year. This year our staff have really done a great job. They have really worked hard to improve the service. Even though the pub is busier now than its ever been, and I know on some busy nights we could improve even more, there are no more queues up the past the toilets to get served. Thank you team, well done! In at Number 10, the best is yet to come! I am sure that Steve Ajao, Pete Hammond and Mike Hatton will provide a great finale to the year tonight. Finally Diane and me would like to thank all our customers for your continued support. We really do value your custom and look forward to serving you in 2011. Cheers and best wishes for 2011.